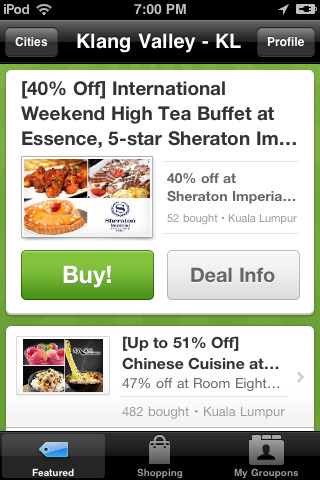 The popular group buying site which caught the attention of savvy online shoppers has just launched its official Groupon app for the iPhone. Available now at the iTunes Store, users can now search for exciting deals from Malaysia and around the world with convenience of their Apple mobile devices. 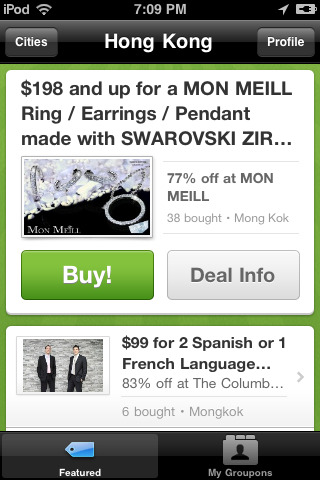 The app, which is also available for the iPod touch, lets you look at deals from other countries too, but you'll have to create an account to purchase deals within that country. Find out more and download the app for FREE here.